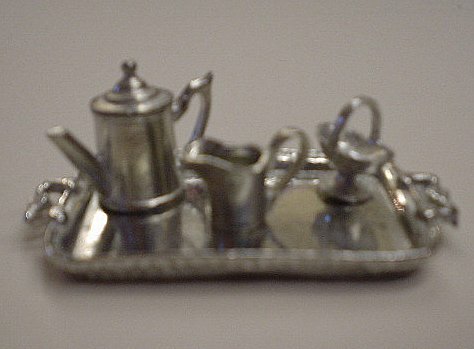 A five piece dolls house tea set made from lead free pewter in England. Containing a tray which measures one and a half inches across, a teapot with separate lid, sugar basin and cream jug. Very realistic looking and could also be painted. Collectors item only, this is not a toy.